Sometimes the most inspiring stories have a tragic beginning. For Steve, it wasn’t much different. Originally from Texas, Steve decided to move to Miami with his life partner, Tom, four years ago. 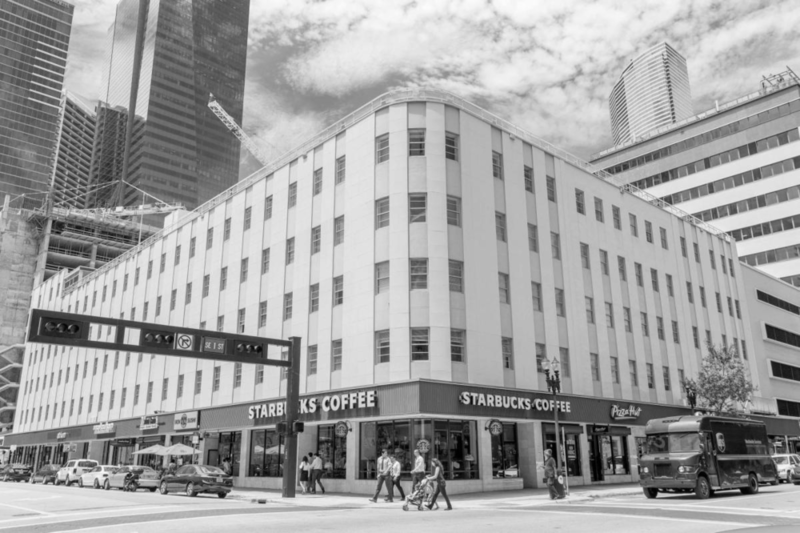 Last year Steve and Tom were in downtown enjoying their morning coffee, as they did every day, in 3rd Avenue of Miami’s Downtown district. That morning, Steve couldn’t have imagined that his life partner would be taken from him. A homeless person, who mentally was not in the best condition was shouting at people and buildings aggressively. Steve took action and photographed the man to later use it to identify him whilst the police arrived. The homeless man saw him taking pictures and approached Steve with violently. When Steve was prepared to defend himself again, the man turned to Tom instead, pushing him to the ground where he unfortunately hit the back of his head on the pavement. Tom was later pronounced dead after the impact of the fall caused internal swelling. Since then, Steve has decided that Tom’s senseless death would not be in vain and started his own crusade to clean and revitalize the Downtown Miami area. His vision of a cleaner Miami started with #Avenue3. Steve looks to help business prosper in the neighborhood, clean the streets and make them safe again. Because there is such a large population of homeless citizens on Third Avenue, Steve hopes that this initiative will benefit them as well. #Avenue3 is a pilot program that will be used as a blueprint to revitalize the rest of Downtown Miami. As a fellow Downtown business, MEV Studios is a proud partner of #Avenue3 and Steve’s tireless work to make Miami a better place, while also helping out those in need, the homeless. It would be easy to allow resentment to fill your soul, but Steve has chosen the route of compassion when it comes to issues that have deeply affected him. This is why we have chosen Steve as our first visionary, because we believe in #Avenue3 and his vision.